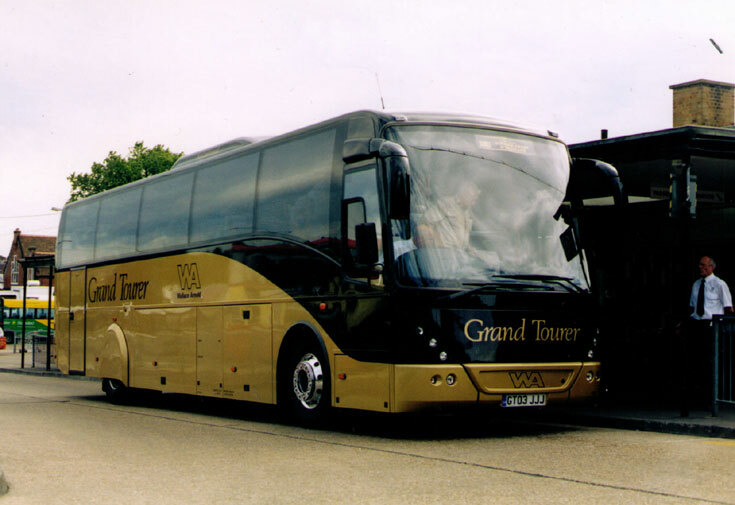 Wallace Arnold Coaches Grand Tourer luxury coach GT03JJJ (Volvo B12M chassis, Jonckheere body work, built in 2003) parked at a bus station. Personally I am not convinced that the covers on the back wheels are that good looking, but it does make it look different. Added by Pete wilkinson on 03 January 2011.